Here at Rebus Legal, we appreciate that! However, sometimes these mistakes can have a considerable impact on your employment and family life, especially if you are reliant on your vehicle for work purposes. Rebus Legal believes that accessible, affordable and high quality legal services should be available to all – without the need for client satisfaction to be compromised. Our philosophy of ‘supportive expertise’ represents the culture of our firm. We focus on building a genuine connection with our clients through an in-depth understanding of their situation and required outcome, before applying our expertise and experience to help them achieve their legal goal. We support each other by sharing resources, knowledge, professional skills and technology, whilst going the ‘extra mile’ to meet client needs through modern technology, 24/7 availability, free consultations and flexible consultation sites (including home visits). At Rebus Legal we are focused on building successful, long term relationships with all our clients through our accessible and empathetic approach. Our values are: Strength; Diversity; Excellence; Supportiveness; Collaboration; Community. Gordon Yenkanna is Partner and Co-Founder of Rebus Legal. With a legal career spanning over 16 years, admission to practice law in Australia, South Africa and the United Kingdom (including roles in national law firms), Gordon has represented clients in a wide range of legal proceedings including Criminal Law, Civil Law and Family Law. In 2016 Gordon decided to use his expertise and experience to form Rebus Legal with Co-Founder Farris Faris. His main objective for Rebus Legal is to put the interest of the client first, and to achieve the most favourable outcome for individuals as cost-effectively and efficiently as possible without the need for protracted litigation. Gordon has long held a strong passion for the law, and believes that the law can be used to achieve positive resolutions for his clients. When working with clients, Gordon shows compassion, initially seeking to understand what is most important to the client, then seeks legal solutions that will best suit them. Gordon takes pride in his communication with clients, keeping them informed throughout the process. He is an avid defender of people’s rights and is very dedicated to ensuring a fair trial for all his clients and works hard to achieve the best possible outcome in court. With his hard work ethic, extensive experience, his belief in thorough preparation, his compassion for his clients, and integrity within the industry, Gordon has proven time and again that he has what it takes to get the best possible result, whilst treating the client’s legal interests as if they were his own. 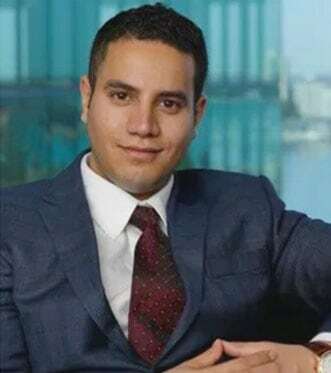 Having achieved a Bachelor of Laws (Murdoch University) and Graduate Diploma of Legal Practice (College of Law), Farris Faris has began an impressive legal career. So far in Farris’ career he has experienced working at the United Nations Human Rights Council in Geneva and positions as an International Human Rights Lawyer. Farris brings both his experience in a range of legal matters including Civil, Family and Criminal Law and also his expertise in the area of Human rights to the Rebus Legal team. 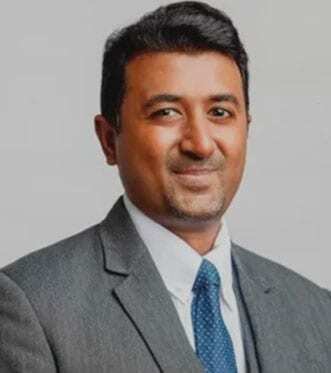 Admitted as a Lawyer of the Supreme Court of Western Australia, Farris is also a registered Migration Agent and fluent in Arabic and English. Farris’ uses his experience, along with his client-focused and empathetic approach to ensure that every one of his clients receives the utmost attention, leading to the best possible outcome. Farris was a Human Rights lawyer at the Claims Assistance Provider Service (CAPS) in Nauru. During this time, he provided asylum seekers with access to adequate legal advice. Farris provided assistance to irregular maritime arrivals who were transferred to a regional processing Centre in preparing their claims for refugee status. Farris also attended hearing at both the Tribunals of Nauru and the Supreme Court of Nauru. Farris also speaks fluent Arabic. This allows Rebus Legal to bridge language and cultural gaps with their clients.